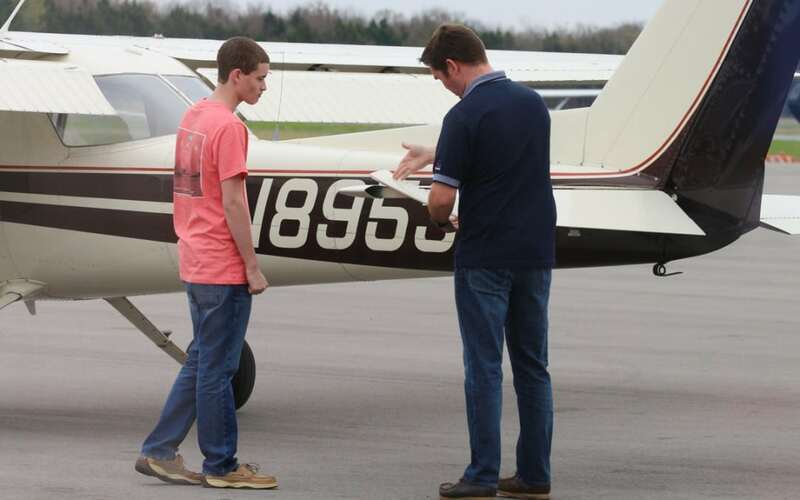 New Student Pilot Rule Effective April 1, 2016! For as long as we can recall, when a new student pilot went to an FAA-approved physician (formally referred to as an AME or Aviation Medical Examiner) to get a flight physical, he was issued a medical certificate which also served as his student pilot certificate. One form for both purposes. Well, no longer. What Is The New Rule and Why Make The Change? In an effort to make us safer from terrorists and spatula-wielding soccer moms, the FAA now requires that you secure your medical certificate from your doctor, and your student pilot certificate from the FAA. The new rules have been incorporated into the Student Pilot Application Requirements. Initially, the FAA proposed that in addition to this new rule, the student pilot certificate also include a photo of the student. This was opposed by the pilot community and the requirement dropped when the new rule was written. It may become a requirement in the near future. This rule now offers the TSA an opportunity to vett student pilot applicants. The FAA estimates that it will take approximately 3 weeks to receive your student pilot certificate once they receive your application. Can’t I Use My Existing Certificate Until It Expires? As a matter of fact, yes you can. We recommend that you not wait until the last moment however. If you don’t send your application to the FAA until your current certificate expires then you are at least 3 weeks behind. It would be best to apply for your certificate months before your current certificate expires. The new student pilot certificate will look much like your plastic pilot certificate. How Do I Go About Securing My Student Pilot Certificate? At this time there is no charge for the issuance of the student pilot certificate. This may change at some point in the future. Questions? Call us at (615) 494-1900 or email us at fly@MurfreesboroAviation.com.